Click Create Collection button on the right. Fill in a title and click Submit. Go back to the dashboard and you will see the newly created collection. 3. Get Shopify Secret Key. Access to your Billplz Account Settings. A form will appear below. 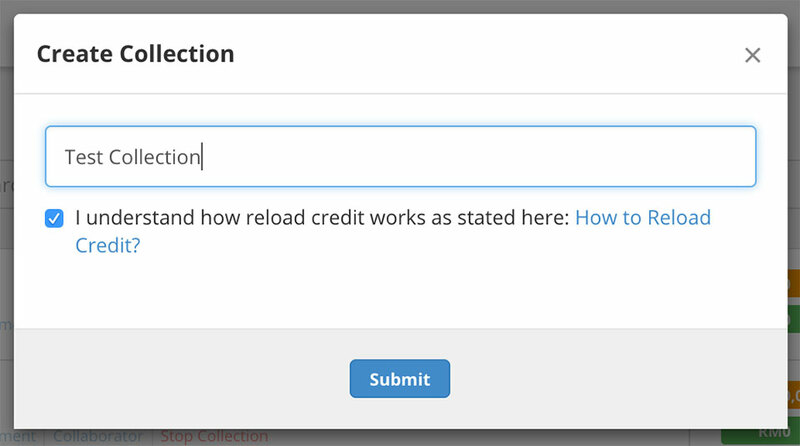 You will require a Collection ID and Shopify API Key. 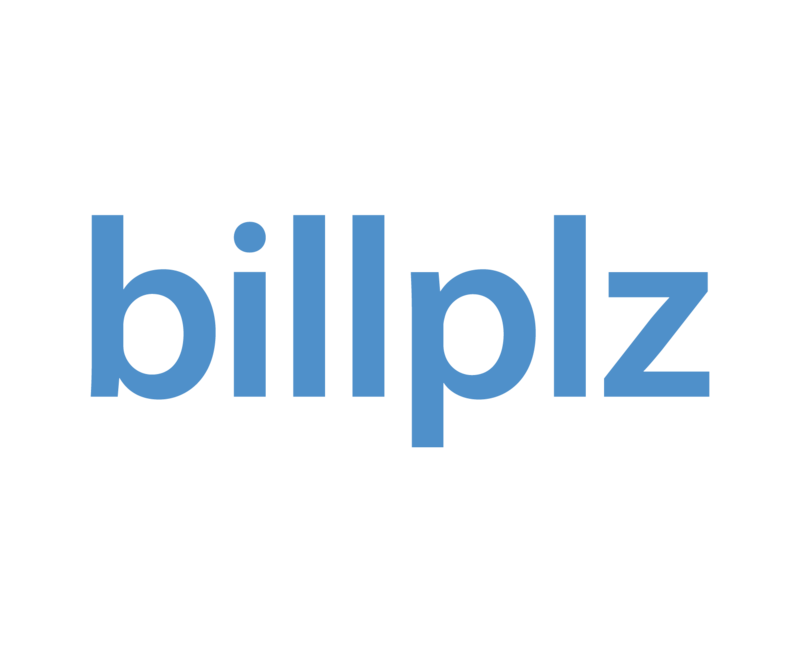 Note: Billplz option may not appeared in-case you have too many installed alternative payment which potentially hit the limit. You may uninstall/remove previously installed alternative payment and retry the installation process after uninstallation/removal of any other third party alternative payment. 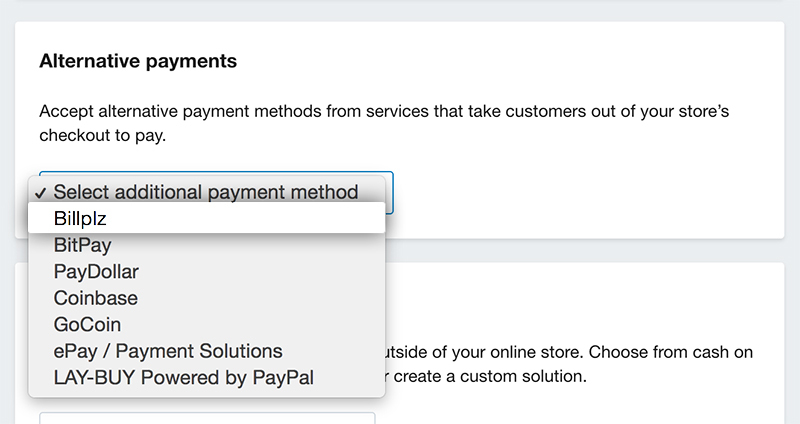 Copy and paste the information into the Billplz settings form in your Shopify store settings. 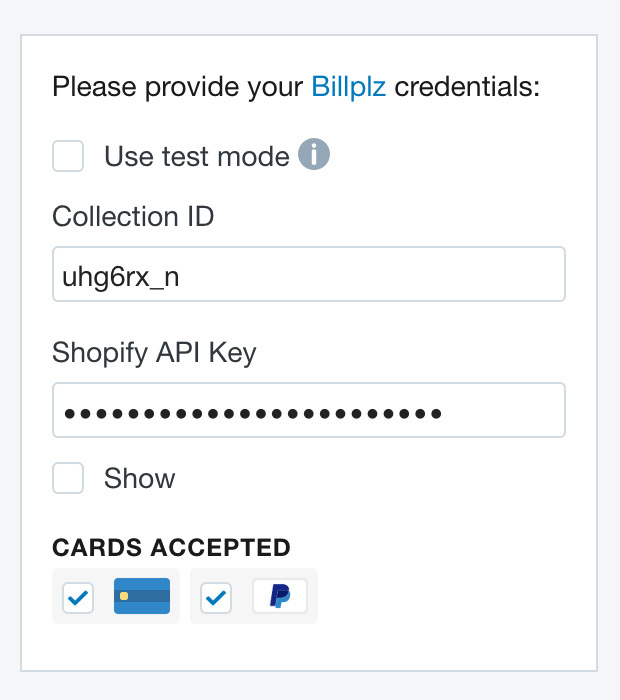 Use Test mode with Staging Shopify Key to use Billplz staging environment. 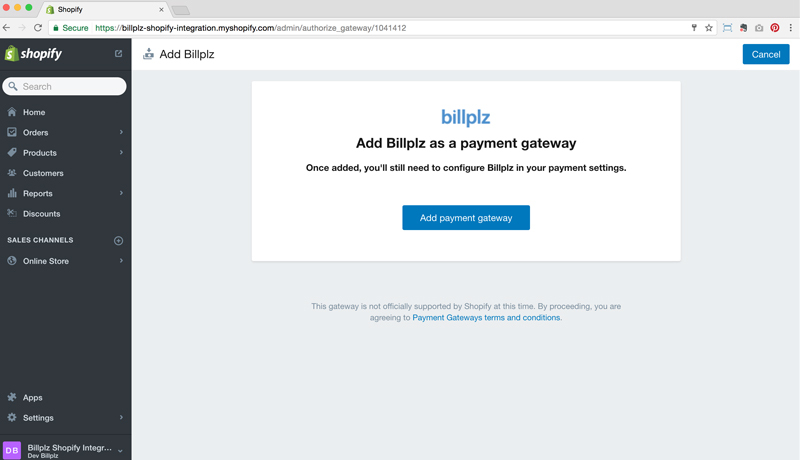 Click Save and Billplz is now listed as a payment gateway on your Shopify store.